Mauger was appointed Leicester head coach in 2014. 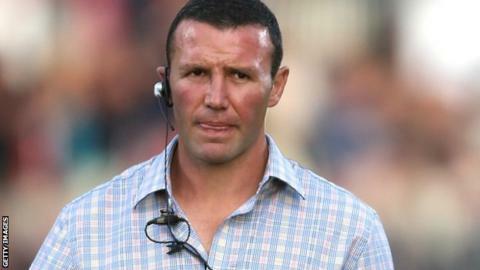 Leicester head coach Aaron Mauger has said that he wants to "empower" his players to coach. The 34-year-old, who was appointed in 2014, said he wanted to emulate the coaches he played under in his career. "I was coached by Wayne Smith, Robbie Deans, Steve Hansen and Graham Henry," Mauger told BBC Radio Leicester. "One thing those coaches did well was to empower the players to coach, so although I was still playing I was doing a lot of peer coaching as well." He added: "I've managed to take the best of all of those guys and mould it towards my own coaching style." The Tigers boss has also spoken of his excitement about including new signing Brendan O'Connor in his plans. "Brendan's been in outstanding form all year for the Blues," Mauger said. "There's a lot of excitement around his rugby at the moment. Integrating him into our environment is going to be critical on our behalf."